« Cargo Van Rental Comparison: Budget vs Hertz, Which One Is Better? Cargo Van Rental Service: Budget vs Enterprise – Which to Choose? When it comes to renting a cargo van, there are myriad choices out there. However, by narrowing down the choices, you can make an informed decision as to which one to rent from. The popular ones, Budget and Enterprise are often compared; the choice of which one to choose may come down to what features are most important to you. Renting a van seems simple from the appearance of the websites. However, before you fill out the online forms, you need to be sure of the dates, location, reasons for renting (size of the van) and other factors that could influence the costs. Here are some specifications from both companies for comparison. Great for moving in town as well as cross country, Budget offers one-way cargo van rentals. They are the ideal vehicle for moving small apartments or studio as well as delivery or pick up of items. It is recommended for up to 40 boxes or 1 to 2 medium furniture items. Some reviewers do not recommend it for a king-size bed or more than one room. (Online reservation went to a 12-foot truck. You may have to call to reserve a cargo van.) Budget Atlanta offers Chevy cargo vans and the Ram ProMaster. 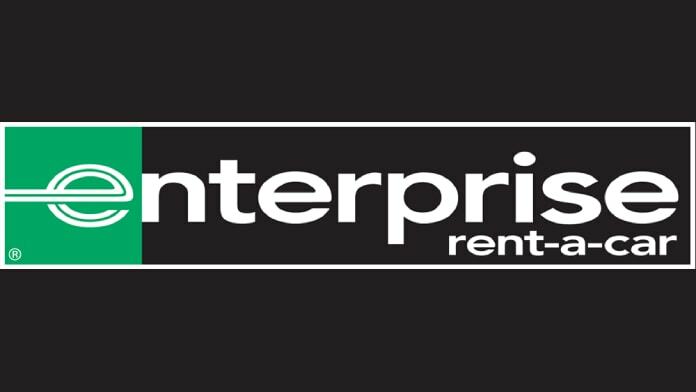 Offering compact cargo vans and regular cargo vans, Enterprise has specific truck rental locations. This van comes with air conditioning, automatic transmission, power steering, power brakes, AM/FM radio (some have audio input jack). The Enterprise cargo van comes in a variety of sizes and can vary locally. This company has a chart that compares the different options for size in their 2-person cargo vans. This makes it easy to choose the right van size for your needs. High roof cargo vans are also part of the choices. Both websites were a problem trying to book the cargo van automatically. It probably requires a phone call to see what is available at the site you are renting from. Enterprise shows you if the cargo van you want is available for the day you wish to reserve on their website. As far as learning about their cargo van options, both sites tell you the dimensions of their vehicles, but Enterprise offers a host of choices. The compact cargo van from Enterprise is a great choice if you need a smaller van that has an extra bulkhead. The company Enterprise gives you a larger choice of sizes but may not have those available for your location. According to Move.org as far as moving trucks (not necessarily cargo vans) Budget is rated a bit higher than Enterprise, the One-way rentals of the later should be verified, but at this time it seems that the van must be returned to the same location from which it was picked up. For this reason, if you are moving a long distance with a cargo van, you will want to choose Budget. If you are moving a small load in town or delivering a few boxes, the small cargo van from Enterprise might be your best option. Or if a high roof vehicle is needed for in town moving, Enterprise can supply it. If listening to music while driving is important to you, Enterprise has this feature. Whichever company you choose, make sure to verify by phone or in person which vehicle is available on the day for which you need it. Also, ask about whether you need to return it to the same location. A little research now can save you dollars later when it comes to renting a cargo van. The type of vehicle you need as well as the reasons you need it may determine whether to choose Budget or Enterprise and which company is better for you.